Mike Freze was born and raised in Montana and went to film school at Montana State University from 1999-2003, where he interned at Montana PBS studios, directed cameras for NCAA basketball games, and worked crew for a variety of networks including FOX Sports, Discovery Channel and CBS. During this time, Mike created a live sketch comedy show, The Arron Gentass Show. He later went on to direct the video committee of the Hatch film festival from 2004-2007. 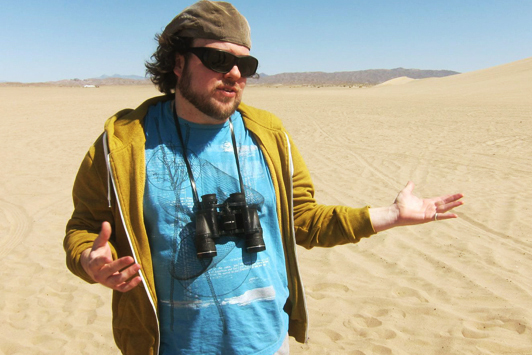 In 2010, Mike came to Los Angeles to pursue his passion of filmmaking full time. He was hired on the spot to run the media department at PhotoshopCAFE. Since Mike came on board, PhotoshopCAFE has gone from 20 Million visitors to over 30 Million and the YouTube channel viewership has more than tripled. In 2013, Mike made a successful Kickstarter video for Future Presidents, a project involving President Jimmy Carter, and teen star, Zendaya Coleman. The video raised over $32,000.00 in 45 days, and was backed by 177 people, including actor Samuel L. Jackson and author Terry McMillan. Mike is currently working on feature film projects and short films with his production company, FrezeFrame Productions and he continues to run PhotoshopCAFE media. He thanks God every day for getting to work and live somewhere relevant, coming from a place of little resources and few opportunities.